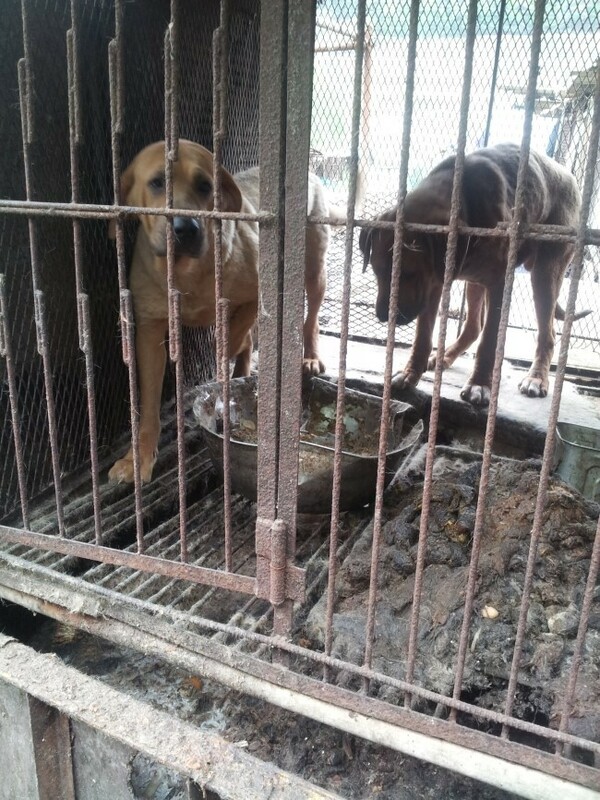 Governor Larry Hogan of Maryland: Tell Sister State, Gyeongsangnam-do Province, South Korea, That We’re Opposed to the Torture and Consumption of Dogs and Cats. Gyeongsangnam-do Province of South Korea became a sister state with the U.S. state of Maryland in 1991. This, despite the fact that Gyeongsangnam-do, South Korea is responsible for a horrendous dog and cat meat trade. 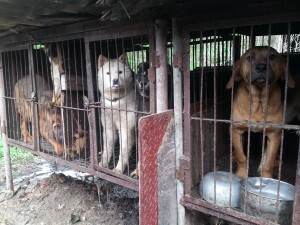 In South Korea, home to global companies such as Hyundai, Kia, Samsung, LG, Daewoo, SK, and POSCO, an estimated 2.5 million dogs are tortured and slaughtered every year because of the greed of dog eaters and the dog meat industry, and the profound indifference of the majority of South Koreans who do nothing to stop this. One of the provinces that supports the illegal mass breeding and brutal slaughter of dogs for human consumption is Gyeongsangnam-do. Have you ever wondered what Hell is like? Click HERE to watch one of four parts undercover video from the Gupo Dog Meat Market in Busan, Gyeongsangnam-do. There are no words to describe the daily horror of this “Hell On Earth.” And there are so many markets like this all around Gyeongsangnam-do. 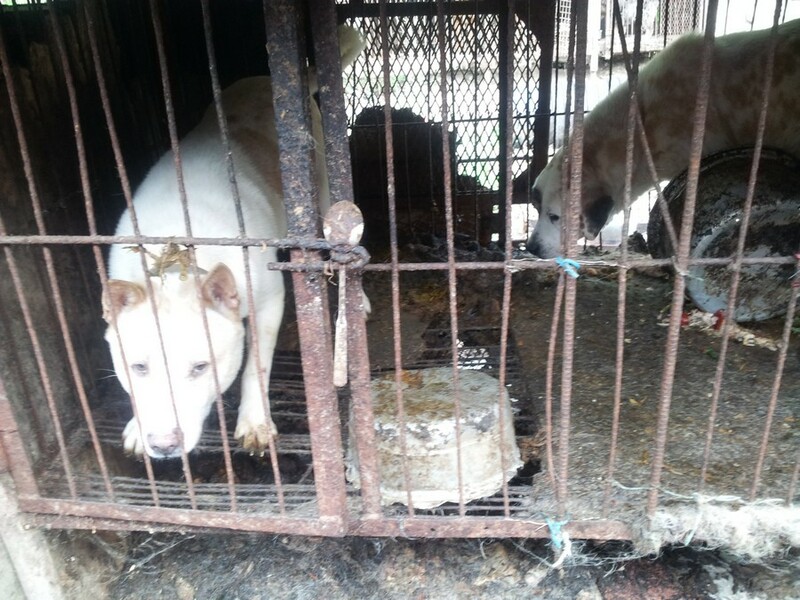 Countless dog farms and slaughterhouses are scattered throughout Gyeongsangnam-do and they truly are hell on earth for the defenseless dogs suffering there. Man’s best friend exists for their entire lives in squalid, feces encrusted raised wire cages in utter misery only to be slaughtered in the most horrific of ways – by electrocution, a hammer blow to the neck, being hung or beaten, bleeding to death from a slashed throat, being burned to death from a blowtorch, or thrown into a vat of boiling water while still alive. Busan, Yangsan, Gimhae, Jinju, Changwon, Uiryeong; and on goes the list of cities in Gyeongsangnam-do where these terrible atrocities are perpetrated. Click HERE to send an online message to Governor Larry Hogan! Click HERE to send an online message to Lt. Governor Rutherford! Yangsan, Gyeongsangnam-do. Photo: Nami Kim. This illegal slaughter and marketing of dogs is barbarous. Please reach out to your sister state of Gyeongsangnam-do and urge them to abandon this cruel and morally offensive practice. SHAME ON ALL THESE DOG AND CAT EATERS NOW. Dreadful, cruel, unnecessary. Please help stop this. you can always go on line @ KOREANDOGS.ORG and see the undercover cruelty and abuse and that will make you sick to your stomach.If you have any compassion in your heart you will want to stop this evil.vile sickening practise immediately. 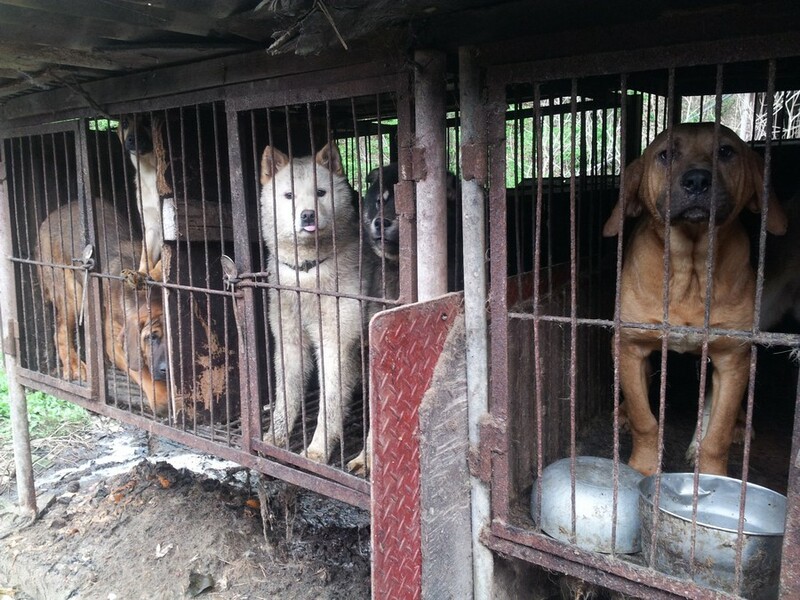 End the barbaric dog and cat meat trade and slaughter in South Korea. These sensitive animals are kept in filthy cages, many piled on top of each other, before they are hauled out, beaten, tortured, electrocuted, hung, skinned alive, in front of the other dogs who are cowering terrified in their cages. This cruelty has got to stop. Dogs and cats are torched and cooked alive, in the belief that the more they suffer, the more tender their meat will be. Please stop this horrific abuse of animals. Shut down the illegal dog meat markets, and cruel treatment of the animals that are humans’ best friends. WHAT SANE AND MORAL SOCIETY WOULD ALLOW THIS? Dogs and puppies die of diseases are tossed away like garbage, left in front of cages to rot while the momma dogs watch in terror and despair. PLEASE, LET’S DO THE RIGHT THING — LET’S SHOW THE WORLD THAT DOING WHAT IS RIGHT IS ALWAYS THE BEST OPTION. Think of your children — think of the future — think of ALL children — LET’S ABOLISH AND DESTROY THESE DRACONIAN, BRUTAL FARMS — LET’S RESCUE THESE DOGS AND CATS. I am unable to watch these videos. I can’t get them out of my head when i do. However I sign all petitions and send all email about sister citys that are available to send. I will NOT stop. I can’t believe that this happens to animals that we raised for thousands of years to aid and help us. It makes me sick!